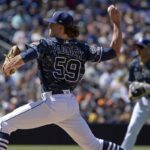 The Cleveland Indians and San Diego Padres match up very well in a potential trade. The Indians need outfielders and the Padres need starting pitching. Can the two sides iron out a deal? And what exactly could a trade look like between these two teams? There are several reports that the Cleveland Indians are looking for outfield help for the 2019 season. Hunter Renfroe, specifically, is someone who has been linked in reported discussions between the two sides. 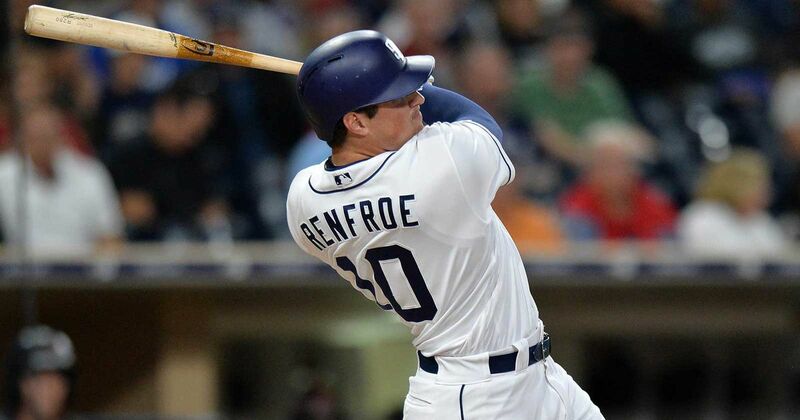 Renfroe is coming off a season where he put up a .805 OPS and 26 homers in 117 games for the Padres. 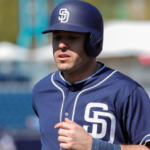 His value has risen as he, at times, was the most consistent offensive player on the Padres’ roster last season. Mammoth outfielder Franmil Reyes is also a possible target as he would make an excellent DH in the American League. La Mole put up a .828 OPS in 87 games. 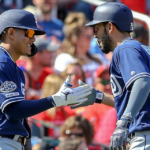 There is no doubt that the San Diego Padres need to move an outfielder, as they presently have quite a few men who are capable of being major league starters. Manuel Margot, Franmil Reyes, Franchy Cordero, Hunter Renfroe, Wil Myers, and Travis Jankowski have all proven what they can in the minors. They all need consistent at-bats at the major league level. They need to play. With Lonnie Chisenhall signing with the Pirates on Tuesday morning, the Indians lost an outfielder from their 2018 season. Michael Brantley is a free agent and not expected to return. Rajai Davis is also a free agent and probably will not return. The Cleveland Indians, plain and simple, need outfielders for next season. Tyler Naquin, Leonys Martin, and Bradley Zimmer are the only ones on the 40-man with major league outfield experience. You could argue that there are plenty of free agents available for the Tribe to pick through on the open market, but the team might be on the lookout for cost-controlled, young talent instead. Franmil Reyes and Hunter Renfroe both make sense for Cleveland on many levels. But what could the Indians offer the Padres? The obvious answer is starting pitching. As the Padres desire a top-of-the-order starter, Corey Kluber, Trevor Bauer, and Carlos Carrasco would all be treasured by the Padres in a trade. Each hurler would be an expensive trade target though. 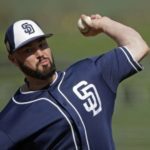 Renfroe or Reyes would be a great starting point, but the Friars would need to sweeten the deal in order to pry a pitcher from the Indians’ rotation. So where does this leave the two sides? 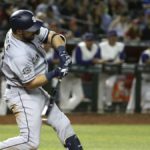 I have seen some possible scenarios where the Padres take on Jason Kipnis and the $17 million he is owed for next season, including a buyout for the 2020 season. Kipnis could play second base and ease an injured Luis Urias into a starting role, but I doubt the Indians would just part with the veteran infielder as a salary dump. Kipnis is coming off a season where he put up a .703 OPS and will be 32 years old next season. This could work in a possible deal, but you would have to think the Indians want to obtain some prospects from the Padres in return for a pitcher. Josh Naylor and Austin Allen are two highly-regarded prospects who are stuck behind tremendous depth in the Padres’ organization. 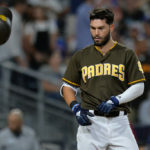 Naylor, a first baseman, is close to being major league-ready, but the Padres have at least four more years invested into Eric Hosmer. The left-handed-hitting Naylor played some outfield this past season in double-A and held his own, but he is clearly a first baseman. Allen is stuck behind Austin Hedges and Francisco Mejia behind the plate. Luis Campusano, Luis Torrens, and Blake Hunt are also right behind him in the minors. 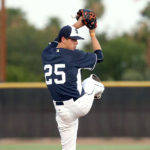 Allen could be dealt and it would not hinder the growth within the farm system. In recent days there have been reports that the Indians are likely to part with Trevor Bauer over any of their pitchers. Bauer is only under contract for two more seasons and is unwilling to negotiate on an extension. The Padres might be able to wrestle the right-handed pitcher away from the Indians with a clever package of prospects and a current major league option in the outfield. December is near, and the hot stove is just starting to heat up. Keep a close eye on the Indians as they look to improve a team that is the favorite to win the AL Central once again in 2019. They are in a position to make a deal and the Padres match up very well in a potential deal. I wouldn’t mind seeing Myers and or Margot go. I see Cordero and Renfroe having breakout years and I want to keep Janakowski for late inning defense or base-running. 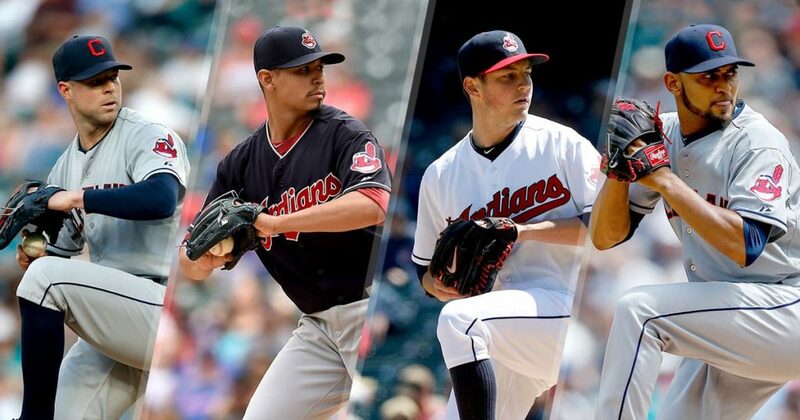 I’d pass on Bauer for “make-up” issues, but either Kluber or Carrasco would be great. Bauer has 3 seasons of control left per Baseball-Reference. This puts him into Padres time window. Kluber also has 3 seasons but will likely cost a king’s ransom. At that point I’d rather get someone young like Syndergaard. Carrasco has 2 seasons of control which puts him out of the running most likely. 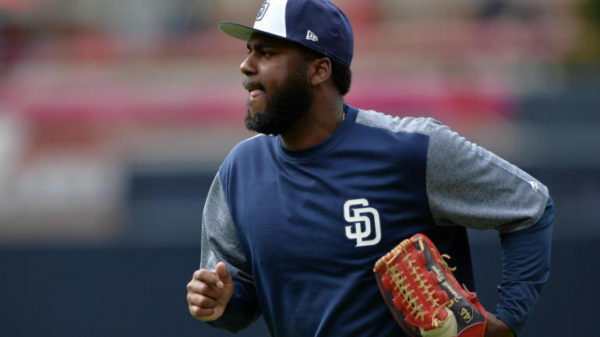 I would rather see the Padres get Yandy Diaz from the Indians to play third base than a pitcher like Bauer. Diaz is blocked by Ramirez and could possibly be gotten straight up for one of the Padres corner outfielders. Diaz hasn’t shown power yet but has hit everywhere he has been and the power could come. Wil Myers would be great in Cleveland (or anywhere else). He is our extra outfielder that we are willing to trade. The return is insignificant. IF the Padres can put up with these idiosyncrasies, he should be their target. Great analysis. If you write 5 or 6 more of these in regards to other teams, you are going to be right about some sort of trade match up.